After I have got an updated electricity meter from local dealer it becames possible to build solution for energy accounting. 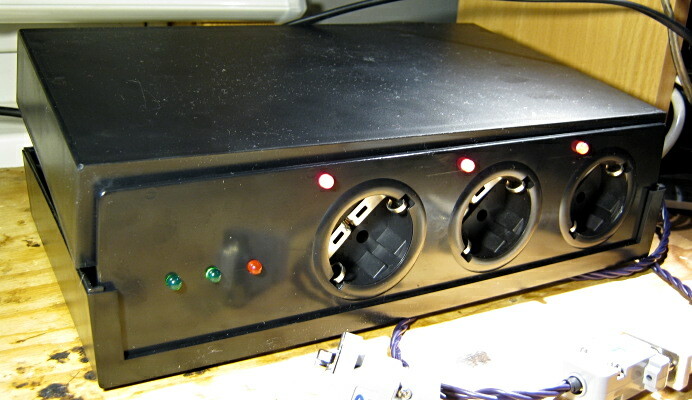 Brand new meter has LED on the front panel blinking while some consumers connected to the network. 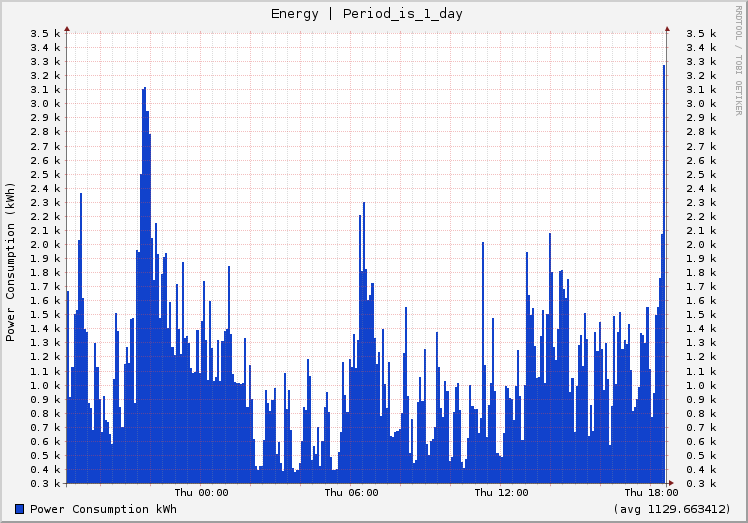 According to information from the panel, 10.000 flashes stand for 1KWh of energy spent. 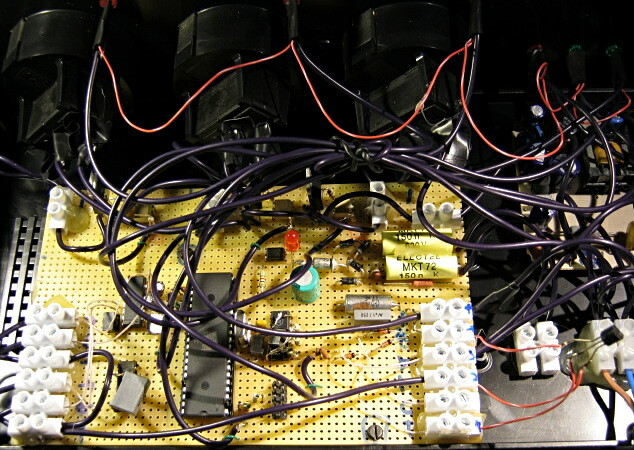 Ok, idea is to put light sensor to the front panel of energy meter and simply count flashes. Other options are not feasible since box is sealed, no permissions to connect any third party devices, even there is most probably RS-485 or CAN interface available. R7 sensor (about 820 Ohm impedance under the light) sticked to the front panel of energy meter. Then D12 LED flashes when opposite LED on the meter flashes and sensor detects that. With R8 regulator we need to tune sensivity to achieve stable work wich tolerance against background light, so commmon sence and reasonable compromise help you. Finally we admit that this part works as a swiss clock. 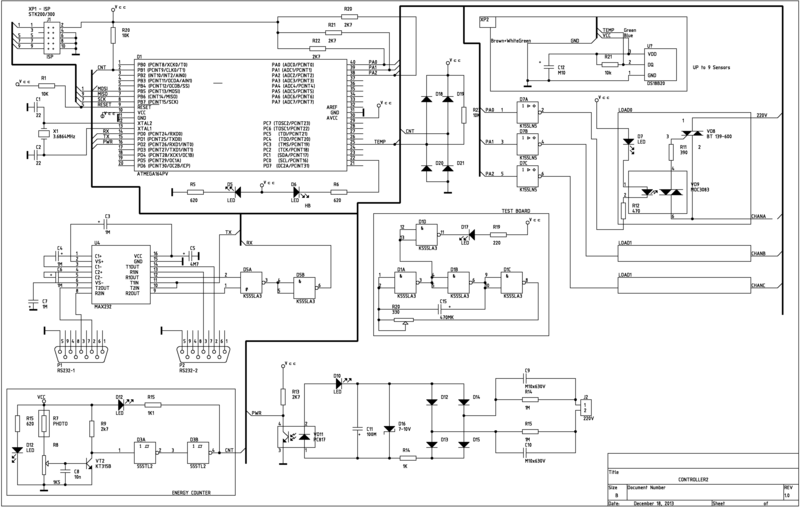 Now it's time to draw full controller diagram. There are some new features added, such as power monitoring (PWR circuit and related components), three power control lines (CHAN_A - CHAN_C) and temperature sensor(s) Dallas DS18B20 (up to 9 sensors supported). 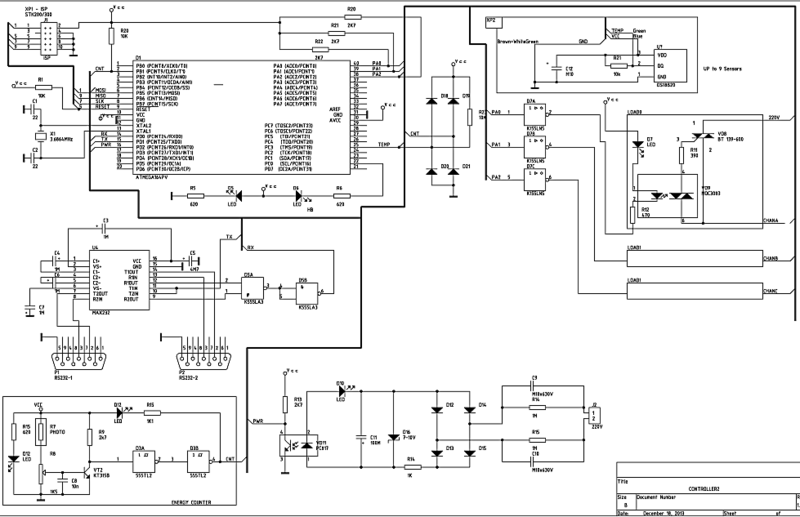 Communication with PC done via RS-232 interface, 9600 8N1. 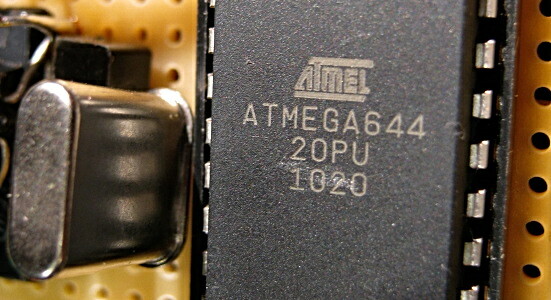 There is support for two simultaneous connections (some tricks with aadditional chip, unfortunally my ATMega 644 20PU has one USART only). 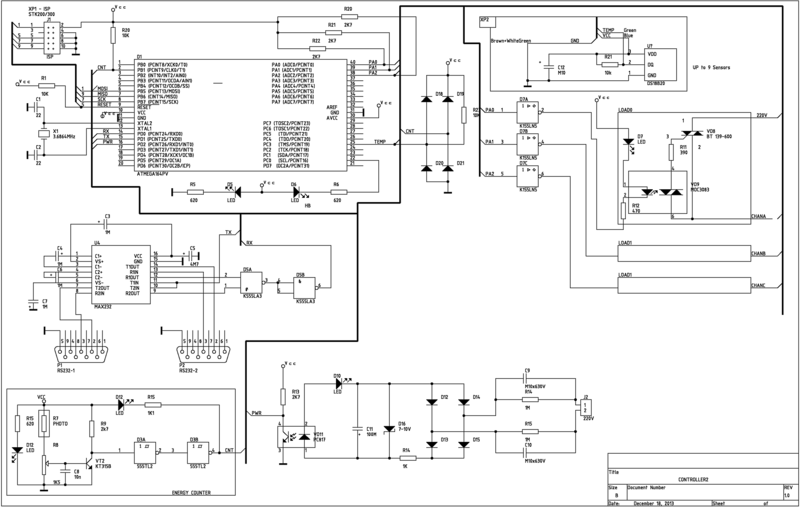 Circuit from light sensor (CNT) is used as a clock source for internal ATMega timer. LED D6 indicates activity, flashing while board is alive. PWR circuit monitors electricity outages. Three power lines (CHAN_A - CHAN_C) could be used to switch off/on some devices. Additionally Watch Dog (WD) mode supported with for any of the above lines. That's all. If I have missed some issues in my story, feel free to send an email if something is unclear!